Each week in the Great Gardener Update we include a blurb called “This Just In” to let you know what’s just arrived in the nursery. Well, so many plants have arrived lately that we need more space than a simple blurb allows, and the timing of their arrival couldn’t be better, given that the weather this weekend looks picture perfect for planting. JAPANESE MAPLES - An assortment of fantastic-looking Japanese Maples was in the Iseli shipment as well, including upright and weeping varieties with red, green, orange, and variegated leaves. And seriously, don’t you think every landscape should have at least one Japanese Maple? Yeah, we think so too. Finally, we just started receiving shipments of tomatoes, peppers, eggplants and other warm-season crops for you early bird veggie gardeners, and we’re getting shipments of culinary herbs every week. Native to Central America, where it grows as a scraggly, deciduous shrub, the Poinsettia flourished in an area of southern Mexico known as Taxco del Alarcon. The Aztecs used the plant for decorative purposes, but they also put it to practical use by extracting a dye used in textiles and cosmetics. And they used the sap in a preparation used to treat fevers. Poinsett fell in love with the plant (which was then known only by its scientific name, Euphorbia pulcherrima ) while visiting the Taxco and sent samples back to his home in South Carolina, where he soon began propagating them and sending them to friends and fellow gardeners, as well as botanical gardens. In honor of Poinsett, the plant was given the common name Poinsettia in 1836. 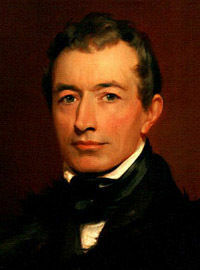 Congress later honored him in 1851 by declaring December 12h as National Poinsettia Day. Kyle Jenkins is passionate about perennials, which is one of the reasons why he’s Southwood’s section leader in that department. Kyle’s been growing perennials for years, and when we asked him to put together a list of his favorites – some for sun, some for shade -- here’s what he quickly came up with. These are among the showiest of all perennials, with red, pink, white, blue, and purple flowers. They’re great in the ground and in containers, and butterflies and hummingbirds love them. Depending on the variety, they’ll grow from one- to three-feet tall and wide, ideally in full sun. Also known as Beardtongue, this native plant comes in a variety of shapes, colors, and bloom times, and all are hummingbird magnets. They grow best in hot, sunny, dry spots and require very little care. Easy to grow, carefree, and gorgeous. What’s not to like about these babies? And they’re extremely hardy, don’t need staking, and aren’t fussy about soil as long as it drains well. What’s more, they come in all sorts of colors. This clump-forming beauty is so named because its flower buds puff up like balloons before bursting open into blue, bell-shaped flowers with five pointed lobes that last throughout much of the summer. It grows to about 30” tall in rich, well-drained soil. Does fine in full sun to part shade. The list of Clematis grows every year, and with good reason: they are among the most beautiful vines in the plant kingdom. In full bloom, they are a sight to behold regardless of the color and type you choose. Just give them good soil, reasonable moisture, and shade at their roots. Wormwood, as it’s commonly called, is a real workhorse in the garden, and it’s especially stunning when planted in mass. ‘Silver Mound’ is a particularly nice variety and features silvery, aromatic foliage that contrasts well with green-foliaged plants. You might also know these as Heuchera (or even the related Tiarella or the hybrid Heucherella), but by any name they’re some of the best plants on the planet for shade. 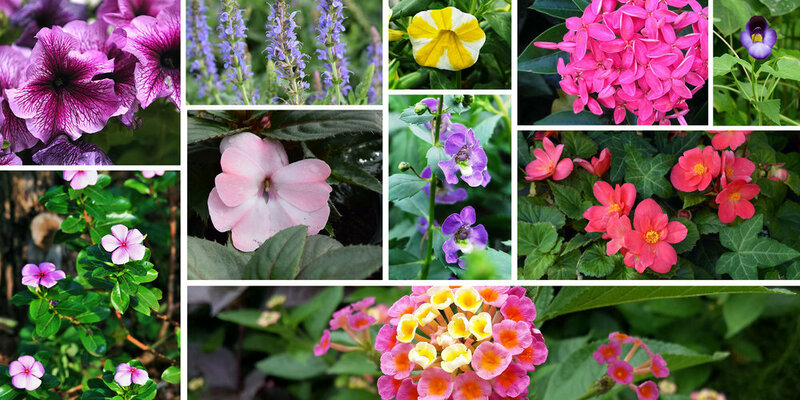 Although they’re grown primarily for their foliage – which comes in shades of purple, peach, red, bronze, lime green and more – the flowers on many varieties are quite nice as well. When these shade lovers are in full bloom atop a layer of snow, you can’t help but be impressed. Easy to grow and carefree, “Lenten Rose” as it’s commonly called is a must have in any shade garden. No list of perennials for shade would be complete without hosta, and the number of choices is staggering, from tiny to huge, solid green to variegated, smooth-leaved to crinkled, and pretty much everything in between. These have been around for decades, and new varieties are showing up pretty much every year, largely because savvy shade gardeners know just how beautiful and easy to grow they are. Plus, they give you both color and height, a combination that’s not easy to come by in the shade. Although he was hesitant to add this one his list because supplies are erratic at best, this is nevertheless a magnificent plant for shade. They spread slowly (which is a plus) and bloom from late summer in to fall. The flowers – available in several colors – dance along tall, arching stems. Call ahead to find out if they’re in stock. Last year we asked Terri Dorris, our resident expert in bedding plants, to give us a list of her top-ten, tried-and-true, time-tested favorite annuals. The article was so well received that we decided to run it again, especially since we’re receiving shipments every day of these Southwood Grown favorites. Want to fill a basket to overflowing, or create a wave of vibrant pink flowers in a garden bed? You can’t go wrong with this beauty. No wonder it’s so hugely popular and at the top of Terri’s list. What’s not to like about periwinkle? Glossy green leaves, gorgeous blooms, and about as carefree a plant as you’ll ever grow. It’s also great in containers or in the ground. Tough foliage, strong stems, thick flower petals, non-stop blooming, and downy mildew resistance. That’s what you get with these babies. Oh, and did we mention that they’re easy to grow, even in our heat and humidity? Blooms from May to frost in sun or light shade and tolerates a wide range of soil conditions. What’s more, it’s a butterfly magnet. Also known as summer snapdragon, this pick blooms all season with no deadheading, is heat and drought tolerant, and is pretty much maintenance free. It’s also native. A great alternative to impatiens, Torenia – also known as wishbone flower or clown flower – is ideal for gardeners who want a non-stop bloomer in sun or shade. Blooms until frost. Attract butterflies and hummingbirds with Pentas, so named because of their five-pointed petals. All they need is sun, heat, and regular watering. Deadhead to encourage more blooms. actually begs for more. And their Verbena-like flowers are available in a number of different – and beautiful – colors. Give them plenty of sun, and they’ll give you what seem like millions of flowers. If hanging baskets are your thing, then you can’t go wrong with this spectacular “spiller.” You’ll love them, and so will butterflies and hummingbirds. Vigorous and heat tolerant. Abundant flowers all summer long. Shade tolerant. No deadheading required. Oh, and beautiful too! Need we say more? Come in and see our huge selection of Southwood Grown annuals. And remember, you save $12 when you fill a flat of four-inch annuals, including Terri’s Top Ten, and dozens more. In case you didn’t know, the redbud is the state tree of Oklahoma, and that’s reason enough to plant one. But there are plenty more. Redbuds are among the first trees to bloom in early spring, and they do so before their leaves have emerged, which makes for an especially striking floral display. And they’re native, so they’re about as well adapted to our climate as a plant can be. Redbuds are generally considered to be understory trees, much like dogwoods, but they will tolerate more sun than dogwoods. Here are some of the best choices for our area, all of which are currently in stock. Merlot – Vase shaped with dense branching. Thick, glossy purple leaves and bright lavender flowers. Will reach 15 to 30 feet in height, 12 to 15 feet in width. Burgundy Hearts – Will likely grow a bit taller than Merlot with pinkish lavender flowers and shimmering reddish purple leaves. Forest Pansy – A more rounded form that may reach 25 feet. Rich pink flowers followed by scarlet-purple, heart-shaped leaves. Oklahoma – This 2007 Oklahoma Proven Winner will grow to about 25 feet. Reddish-purple flowers give way to glossy green leaves. Rising Sun – Topping out at around 12 feet, this redbud produces rosy, sweet pea flowers followed by golden tangerine to peach and green heart-shaped foliage. A must have for redbud lovers. Traveler – Beautiful weeping form of redbud that tops out at around eight-feet tall and wide. Magenta buds open to rosy pink flowers. Fall color is yellow. Great for small gardens or as a specimen. Ruby Falls – Another great weeper with pinkish-purple flowers and purple foliage. Slightly more narrow than Traveler. Pink Heartbreaker – Lavender-pink flowers are followed by bright red, heart-shaped leaves that mature to green. This weeper will typically grow to about 12 feet by 8 feet. Don Egolf – More like a large shrub than a tree, the bright pink flowers on this variety are so tightly packed that the bark is barely visible. It won’t reseed, and it can take a lot of sun. Finally, here’s one more reason to plant a redbud: The flowers are edible, and make a nice tasty and colorful addition to salads. What the Heck is Hardscape? Hardscape is a fairly unfamiliar word. It wasn’t even recognized by most dictionaries until the mid 80s, and it’s hardly a word you’ll hear at a cocktail party. That is, unless the guests are folks in the landscape business, or the hosts have recently had their landscape redone. So what is hardscape? Strictly speaking, it consists of the inanimate elements in a landscape, especially masonry work or woodwork. Its opposite is softscape, which refers to the living, animated part of a landscape. Think plants. More specifically, hardscape refers to concrete, brick, stone, wood, even metal. Examples of hardscape projects include patios, paths and walkways, retaining walls, fences, arbors, pergolas, decks, water features, boulders – you get the idea. You could even stretch the definition to include pottery and yard art and yes – dare we say it? -- pink flamingos. The big difference between hardscape and softscape projects – aside from the inanimate vs. animate issue – is that if you make a mistake with softscape elements, it’s not that big of a deal. For example, if you decide that you don’t like where a shrub was planted, you can move it. If you decide that the curves of your flower bed need to be adjusted, you can change them. But with hardscape projects, mistakes can be disastrous, and the costs associated with correcting them can be considerable. An improperly laid stone patio or a fireplace with an insufficient footing, for example, can cost more to repair than the original project. Decks – if not properly designed and built – can be downright dangerous. Savvy designers know that a well executed landscape includes a mix of both hardscape and softscape elements in varying percentages. And for over 30 years, Southwood’s landscape designers have been helping homeowners find the perfect mix for their properties. After spending countless hours (and money you can count) on creating and maintaining a beautiful landscape, it’s too bad you only get to see it when the sun’s out, right? When you party on the patio, don’t you wish you and your guests could actually see what you’ve created, rather than merely peering out into darkness? And wouldn’t it be nice if the front of your home featured something more than a porch light or some (often ugly) fixtures stuck in the corners under the eaves? Well guess what? You needn’t let your landscape disappear into darkness. With outdoor lighting, the beauty that exists throughout the day can be on display all night long. And there are all sorts of ways to make that happen. Architectural Highlighting and Wall Washing are two techniques that can dramatically enhance the look of your home and the surrounding landscape. Shadow Casting can be used to create a special mood or ambiance. Up or Down Lighting of trees can make every night seem as though the moon is full. And Path Lighting can do wonders when it comes to providing safety, security, and beauty. Those are just a few examples of how outdoor lighting can transform the look of your home and landscape. And in case you didn’t know, Southwood’s landscape pros have been designing and installing outdoor lighting for years. To learn more, call Becky at 918-299-9400, extension 210.